A timely and penetrating mystery about the intersection of policing, racism, and the community—set in a city at its boiling point—from an author who’s been in the trenches and seen it all. A senseless act of violence. During a vigil calling for police reform, students from Spelman College, a historically black women’s institution, are assaulted by rifle fire from a passing vehicle. On her way to interview witnesses, Detective Sarah “Salt” Alt confronts the fleeing vehicle of the suspects, but they get away. While other detectives take the lead on the Spelman murders, Salt is tasked to investigate the case of a recently discovered decomposed body. When she combs through the missing-persons reports, it becomes clear the victim is a girl Salt took into custody two years before, and Salt feels a grave responsibility to learn the truth about how the girl died. But before she can pursue any leads, Salt is called onto emergency riot detail—in the wake of the assault on the Spelman students, Atlanta has reached the boiling point. In a city burdened by history and a community erupting in pain and anger, Salt must delve into the past for answers. 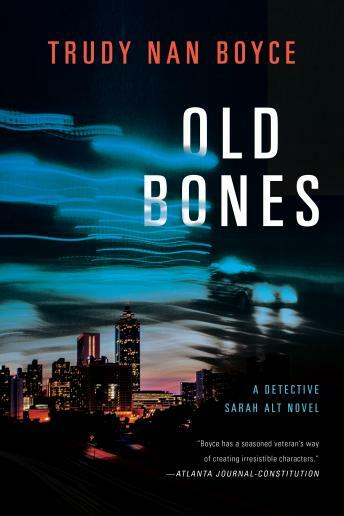 A gripping and astute story about what it means to serve and protect, Old Bones solidifies Trudy Nan Boyce as an evocative, authoritative voice in crime fiction.